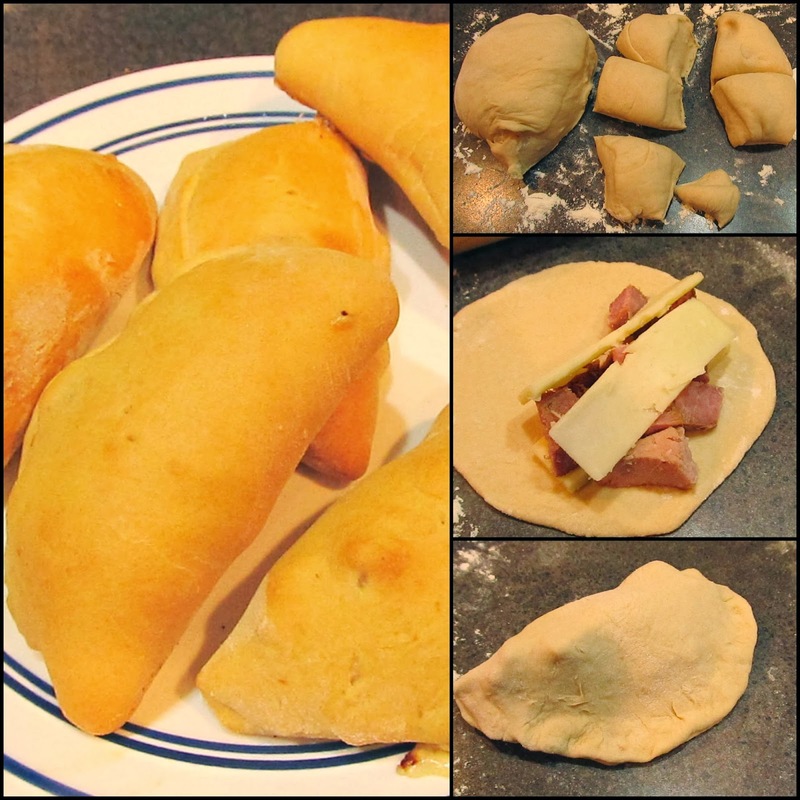 Last week when I shared our twenty minute dough recipe, I told you that I use it for homemade hot pockets. 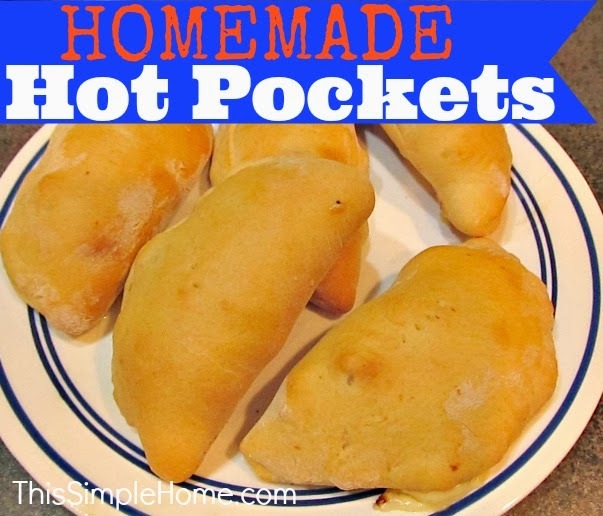 For those of you holding your breath, you can relax now; the wait is over for the homemade hot pocket recipe! I don't think my children have had the "real" Hot Pockets, and I don't see any reason why they will need to eat the store bought type in the future. One of the great things about homemade hot pockets is that you can mix and match ingredients. Measurements are not even needed. 1. Divide your bread dough in half, and then cut each half into 12-16 equal pieces. (This is dependent upon how much dough you are beginning with. Pictured below is the quick bread dough. It made 12 hot pockets in the photo, but can make as many as 16-18 smaller pockets. OR just roll out your dough in one big piece, then divide it into fairly equal rectangles (and skip step 2). 2. Form each piece of dough into a circle using a floured rolling pin. Make it as large as possible. It will be thin. 3. Place cheese, ham, and vegetable on one half of the dough. Do not get too close to the edge. 4. Fold over the dough. Pinch edges together. Use a fork to place poke the pocket for a steam vent. 5. Brush milk on dough pocket to brown the dough nicely. 6. Bake at 400° for about 20 minutes on parchment paper or greased cookie sheet. Let cool for 3-5 minutes. Take a peek at more of our family recipes. These are cool! I bet my kids will love them! I bet your kids would even make them, Meredith! We've done these a few times with the packaged crescent rolls. This is perfect, especially now with the Hot Pockets recall! Thanks for the recipe and the 20 minutes bread dough suggestion.